Huang Jin Ya is one of the most precious Chinese green teas. It is derived from Anji Bai Cha. 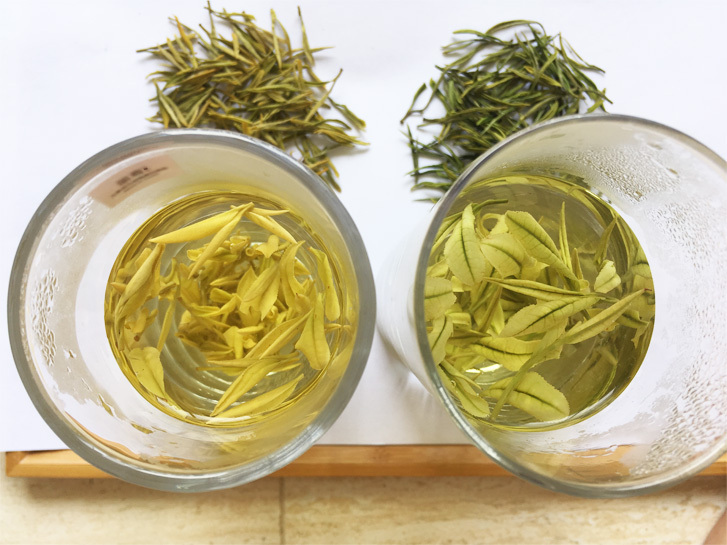 But the color of the tender shoot of cultivar Huang Jin Ya is golden yellowish, instead of the white color of Anji Bai Cha. And Huang Jin Ya tea cultivar has to be planted in tea gardens with sea level more than 1,000m. Our Huang Jin Ya tea garden is located in West Hunan Wuling Mountains with seal level around 1300m. Here it has very good forestry covering, and rich rain and mist in the season which helps to form the tenderness of Huang Jin Ya. The tea garden is Ceres certified organic. 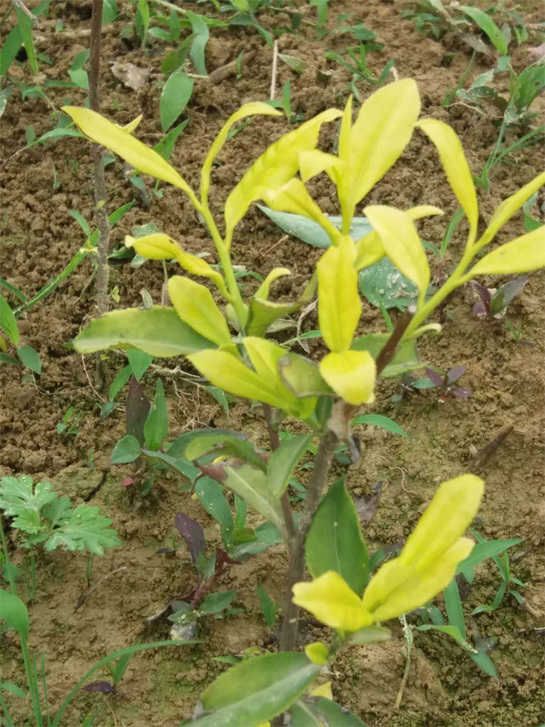 The natural way of farming, no chemical and fertilizer not only enusres the tea is clean but also gives the tea most natural flavor and taste. 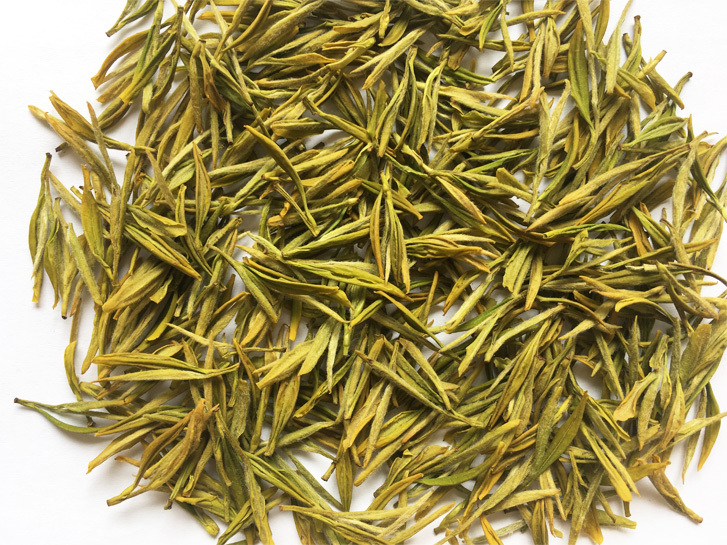 The Huang Jin Ya gives a kind of sweet creamy flavor, and the taste is very mild mellow,even the new tea drinkers will not feel any bitterness and astringency from this tea. Compared with other teas’ health benefits, Huang Jin Ya contains richest amino acids and EGCG which is the universal heath ingredients for human health, eg.